This programme monitors the development of regional and international mechanisms and policies to identify strategic advocacy opportunities for APWLD members and partners. It aims to ensure international and regional laws, norms, standards and procedures are both reflective of women’s human rights issues in Asia Pacific and are effectively utilised by women in the region. This programme builds on APWLD’s existing legacy in conducting annual Asia Pacific regional level consultations with UN mandate holders. It continues to support the Southeast Asia Women’s Caucus on ASEAN. Women in Asia Pacific are not able to fully access international procedures and systems that can be utilised for the advancement of their rights. 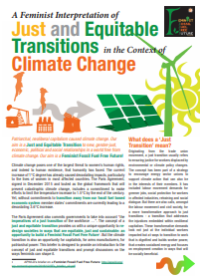 While many international norms and mechanisms have been created as a result of continuous advocacy by women’s rights organisations, women in the region are still burdened by care work, disenfranchised by patriarchy, threatened by conflict and militarisation, or subject to climate impacts that render them even more vulnerable. 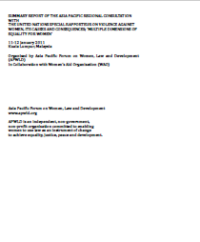 In this context, we believe that two-way engagement is necessary: in one direction, to ensure international processes are aware of the situations of women across the region in varied contexts, and in another, to ensure that women in varied communities are aware of their rights, international and regional frameworks that pertain to them and how the existing mechanisms can be harnessed to initiate change. Our members are in continued engagement in policy spaces at the global and regional level. We bring analysis, recommendations and data derived from research and advocacy directly with marginalised women’s groups specially the valuable knowledge gained from our Feminist Participatory Action Research (FPAR). UN Commission on the Status of Women – this is the main global body where governments agree to work together on the promotion of gender equality and women’s rights. Women civil society organisations from UN member States utilise this site as a mechanism for bringing national issues to international attention, for holding their countries accountable to its global agreements, and for reporting on progresses and gaps in implementation of policy. We work with the Women’s Major Group, a coalition of women’s organisations that was formed to engage sustainable development processes in the region to advance women’s legal rights. 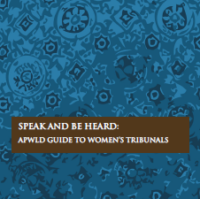 UN Human Rights Bodies – APWLD supports the work of women human rights defenders as host organisation of the Women Human rights Defenders International Coalition. Through our intersectional analysis we engage human rights bodies such as the UN Human Rights Council where members participate in country-level Universal Periodic Review. We have also been active in advocating for Extraterritorial Human Rights Obligations as powerful tool for holding the World Bank, Asian Development Bank and other transnational corporations accountable for human rights violations. ASEAN Engagement – Association of South East Asian Nations is a regional grouping of 11 southeast Asian countries for regional cooperation on matters of economy and policy. APWLD by working together with the Women’s Caucus on the ASEAN consolidates women’s positions on key issues for intervention in ASEAN spaces; we have been co-convenors of the ASEAN People’s Forum, and we have published advocacy tools that can be used by women’s organisations intending to engage the ASEAN.